I want to write to say thank you to anyone who voted for me in the 2013 Ruthie Awards. I was honored to receive the award at a banquet a few weeks ago. 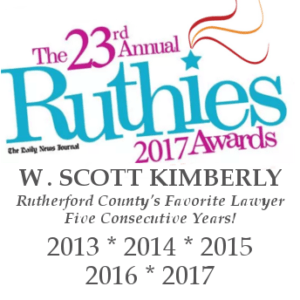 Our office was fortunate to join other prominent local businesses in the 2013 Ruthie Awards spread in the Daily News Journal last week.